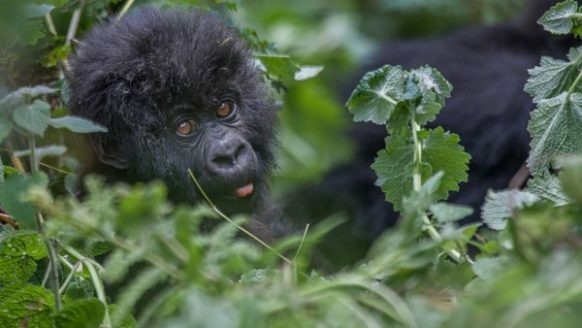 The 12 Days Uganda Rwanda Congo Gorilla, Chimpanzee & Wildlife Safari is a comprehensive safari package allowing you to explore these remarkable African destinations noted to be the only ones sheltering the critically endangered Mountain gorillas on a world scale. The safari features Mountain gorilla trekking in Uganda and Rwanda, Nyiragongo Volcano hike in Congo, Chimpanzee trekking in Kibale National Park popularly known as the primate capital of the world, extensive wild game viewing in Queen Elizabeth National Park with the Big four including tree climbing lions, nature walks in the fort portal crater area and Bigodi wetland not forgetting recreational boat cruise on Lake Kivu and Kazinga Channel. Day 2 of the 12 Days Uganda Rwanda Congo Gorilla, Chimpanzee & Wildlife Safari: Drive to Fort Portal, tour the Amabere g’ Nyinamwiru caves, adventure hike to the Fort Portal Crater Lake field to explore the famous Kyeganywa hill & then transfer to Kibale National Park. Team up with your safari guide after breakfast to transfer to Fort Portal Area 300km about 5 hours drive from Kampala. 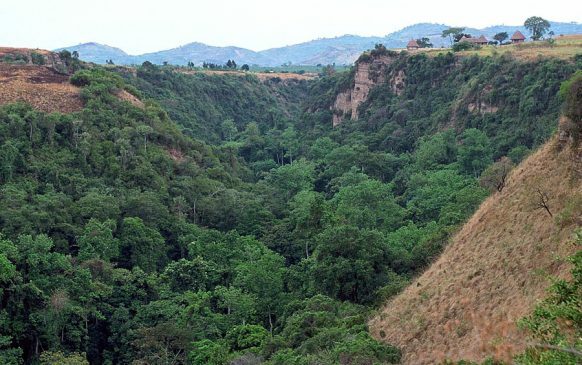 The views of the countryside will astonish you along the drive including the Inselberg geological features in Mubende, Lake Wamala viewed at a distance along with human settlement patterns en route. The views of lush tea plantations as you draw close to Fort Portal town also provide a lasting memory. Settle for lunch in Fort Portal town after which you connect to Nyakasura Area to explore the heritage site of Amabere g’Nyinamwiru caves standing as breast-like features of which the locals presume to be belonging to Nnyinamwiru – the daughter of Bukuku who was a self enthroned king of the Bachwezi. He is noted to have denied the daughter to breastfeed her hard gotten baby – Ndahura on a foretold story that the grand child would kill him and take over the throne. Though he undertook all the measures to stop this, it eventually happened. It is such a historical story worth listening to. After the caves, embark on the hike to Fort Portal crater field hiking the magical Kyeganywa hill to gain notable views of the crater lakes below and the overlooking Rwenzori Mountains. Retire from the activity and transfer to Kibale National Park for relaxation dinner and overnight. The briefing for Chimpanzee trekking in Kibale National Park commences at exactly 8am at Kanyanchu Tourism Center and after detailing the dos and don’ts, you head to the lush tropical forest of Kibale with immense biodiversity including 13 primate species including common Chimpanzees, Black and white colobus monkeys, L’hoest Monkey among others, 351 species of trees and 375 bird species including the unique Green breasted pitta and Kibale ground thrush. 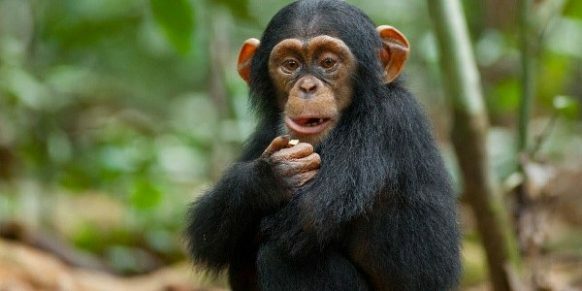 The search for chimpanzees can last 3 – 5 hours with one full hour of direct viewing. The moment is remarkable as you see them forage, copulate, play and do other behavioral tactics which are magical to explore. In the afternoon, a wetland walk in Bigodi sanctuary is impressive offering probable sights of birds like great blue turaco and gonolecks. Other swamps dwelling species like Sitatunga may also be viewed. Retire for relaxation, dinner and overnight. After a relaxed breakfast, transfer to Queen Elizabeth National Park 157km about 2 – 3 hours drive enjoying the impressive landscapes of Rwenzori Mountains standing as the third highest mountain in Africa with glacial peaks. A stop at Ruboni community on its foothills presents an insight into the cultural setting of the Bakonjo people that have lived in this area for over 300 hundred years past. Proceed on the drive to Queen Elizabeth National Park to catch up with an afternoon boat cruise along Kazinga Channel departing at 2pm. 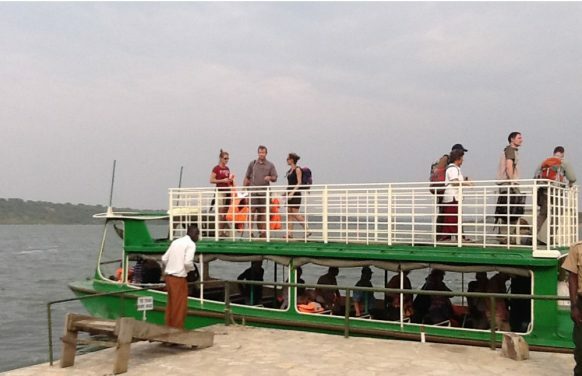 The 2 hour boat ride offers beautiful views of the channel waters, the birds on the banks including Great Cormorants and African Skimmers and wild game drinking on the channel side like elephants, Buffaloes among others. You retreat from the activity and undertake a game drive along the channel track in Mweya peninsular as you connect to the lodge for relaxation, dinner and overnight. If you slept inside the park, the game drive can start at 6am but if you slept outside the park, the park gates open at 7am. Kasenyi sector to the north east of the park features an extensive savannah landscape supporting a myriad of wild game including; elephants, lions, Buffaloes, leopards, Side stripped jackals, Spotted Hyenas, Antelopes like Uganda Kobs, Bushbucks, water bucks, Topis among others. The area also features counts of birds that can be viewed along with wildlife. In the afternoon, you can opt to spend time relaxing at the lodge or take an optional nature walk the lush forest of Maramagambo for birds and unique flora. Another alternative is undertaking a chimpanzee trek in Kyambura Gorge or Kalinzu forest for more chimpanzee viewing experience. Retire for dinner and overnight. Following breakfast at the lodge, you set off Bwindi Impenetrable National Park traversing the Ishasha sector in search of tree climbing lions where you gain chances to explore these amazing creatures hanging on the tree branches in the mid day sun. Proceed to Bwindi arriving in the evening for relaxation, dinner and overnight. 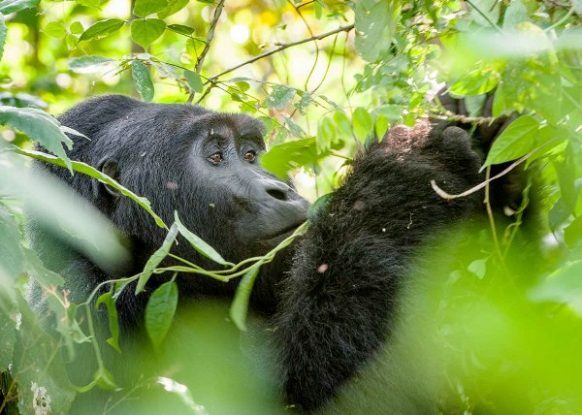 Bwindi Impenetrable National Park featuring a minimum of 400 mountain gorillas presents a remarkable opportunity to explore these critically endangered Apes. The trekking encounter commences at 8am at the respective gorilla trekking region with briefing conducted by the Uganda Wildlife Authority park rangers. This is followed by the trek to the forested hilly landscapes of Bwindi dubbed Impenetrable with beautiful forest cover always covered by mist in the morning, scenic slopes, abundant birdlife and eventually the mountain gorillas. The viewing of these gentle giants is limited to one hour but the entire return trek can last between 2 – 8 hours. After the trek, you drive to Lake Bunyonyi for an afternoon relaxation and overnight driving through the fascinating Kigezi Highlands. You take a boat ride on Lake Bunyonyi exploring the lake of a thousand Islands as it has been known because of its count of 29 Islands. The views are spectacular and the life of the Islanders is magical to explore. 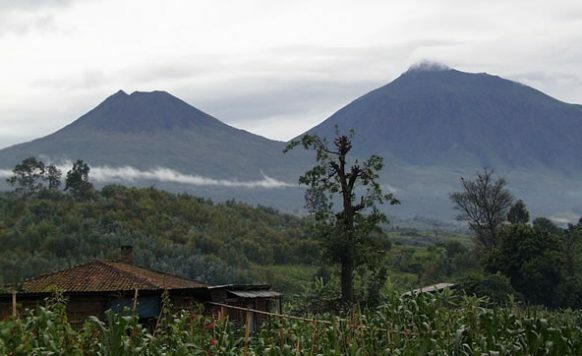 From the activity, you transfer to Volcanoes National Park 120km about 3 hours drive enjoying the views of the Kigezi Highlands and Virunga Volcanoes. Cross at chanica border and spend the evening relaxing at the lodge. This is a second opportunity to explore the critically endangered mountain gorillas but this time in a different habitat. 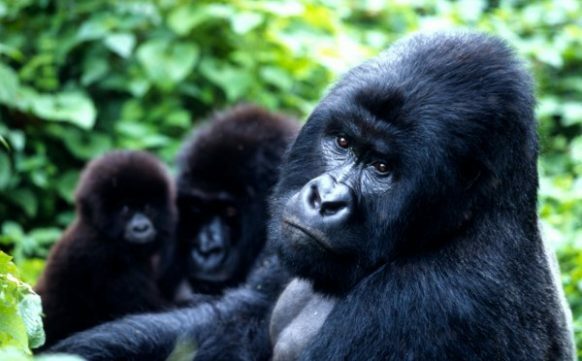 Volcanoes National Park is part of the Virunga volcanoes where the remaining population of Mountain gorillas 480 thrives. The trek commences at the park headquarters Kinigi at 8am with briefing by the park rangers. However, an early arrival offers an opportunity to enjoy the traditional Kinyarwanda performance and a warm cup of home grown Rwandan coffee. After briefing, you drive to the trail head to embark on the hike through the gorilla highlands marked by lush flora and bird life. The eventual encounter with the mountain gorillas is a lifetime moment and a range of photos can be taken and questions about the gorillas can be asked. After one hour of direct viewing, you return to the starting point and embark on the transfer to Gisenyi Lake Kivu 110km about 2 hours drive for an evening recreation and relaxation. An optional boat cruise can be taken to explore this beautiful lake and its Islands. Retire for dinner and overnight. This is the second day on the mountain and you enjoy the mountain scenery as you trek back to the starting point. From Kibati, you embark on the drive to Gisenyi to relax at the endless sandy beaches refreshing from the 2 day volcano hike. Retire for overnight.